Why did Vincent van Gogh cut off his ear, what illness was he suffering and why did he commit suicide? On the Verge of Insanity shows how the artist struggled with his mental health, and how painting served as his only lifeline. 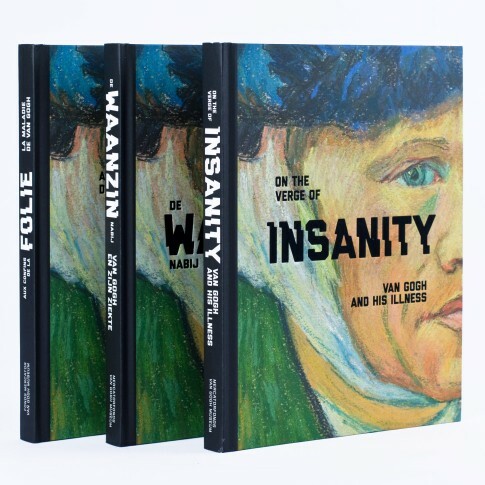 In addition to Van Goghs own experiences, as recounted in his letters, the book features the testimonies of relatives, friends and doctors, and official documents such as medical reports and a petition organized by worried local residents. The book presents a compelling portrait of an extraordinary man and his grave struggle with mental illness. The authors of On the Verge of Insanity, experts from the Van Gogh Museum, draw on the latest scholarly research to offer a detailed account of the final eighteen months of Van Gogh'?s life. Richly illustrated book, hardcover, 175 pages. Available in 3 languages.